Korina has actually been on a fitness journey for some time now, shedding 15 pounds in total according to one of her posts. She says that gravity quickly took a toll on her body because of the weight loss. But after seeking assistance from Dr. Vicki Belo, it wasn't a problem for long. Find out more about Korina's transformation below! From her billboard, you'd know that the news anchor is the new muse of the Belo Thermage, a non-surgical skin tightening treatment from the Belo clinic. According to Korina, she did the treatment four months before the campaign was shot, but shared that she had already been doing it once a year for three years, anyway. Belo claims that the expected results from this treatment are visibly tighter skin, less prominent wrinkles, and more defined facial contours. Other than minimal swelling, redness, and bumps, the treatment is known to have no dangerous side-effects. The clinic says that clients will see measurable improvement with tightening usually within two to six months, sometimes even earlier. 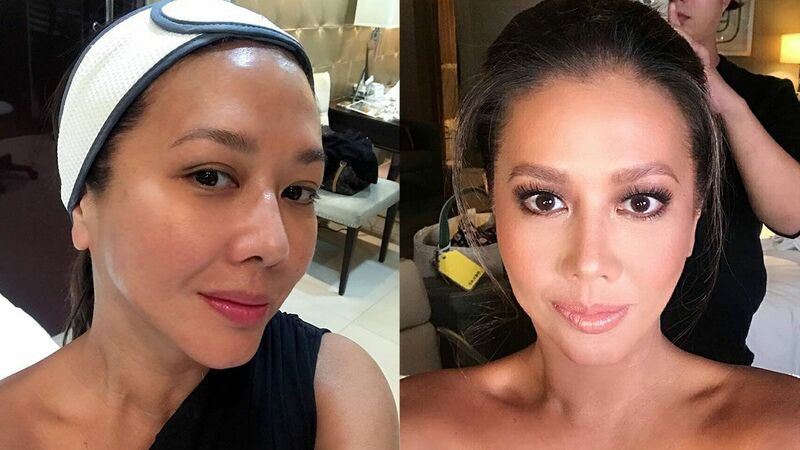 To further define her features, Belo representatives told Preview that Korina had Botox done in some areas. She also underwent the Embedded Protein Threads (EPT) procedure to correct deep wrinkles that botox couldn't smooth out. This is done by inserting special threads to enhance the contours of the face, like the jawline and cheeks. Other than lifting those areas, it corrects volume loss on the skin and can be done on other parts of the body as well. Here's a before and after from Korina herself at the Greenbelt clinic, in which she shows her right cheek before EPT and left cheek after EPT. After the EPT, Korina showed off her more defined jawline and visibly lifted cheeks.